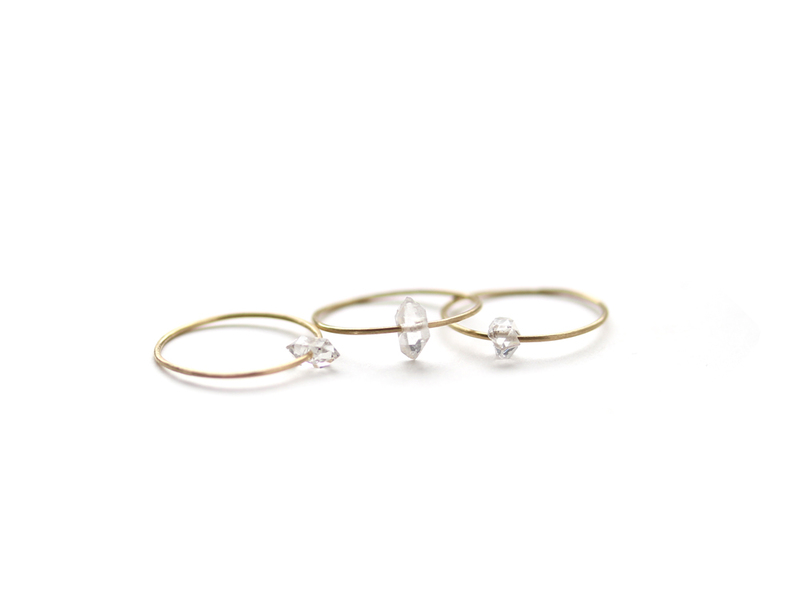 This unique skinny gold ring is made of a small double point quartz and recycled 14K solid gold. 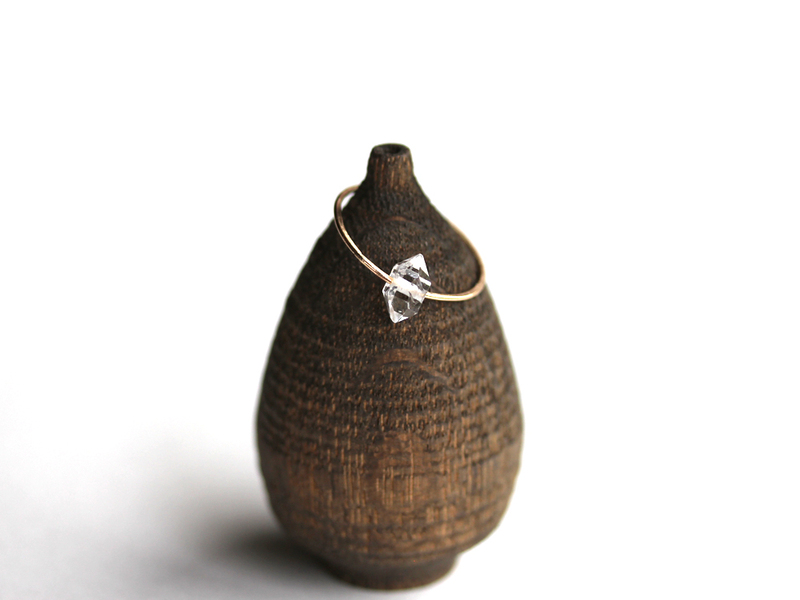 The gold ring band runs though the quartz bead allowing the stone to move around like a satellite orbiting a planet. The band is hammered and intentionally given an uneven (not perfectly round) shape. Each crystal is unique and varies in size and shape. Double point crystal measures approx. 6-10mm x 3-5mm wide. 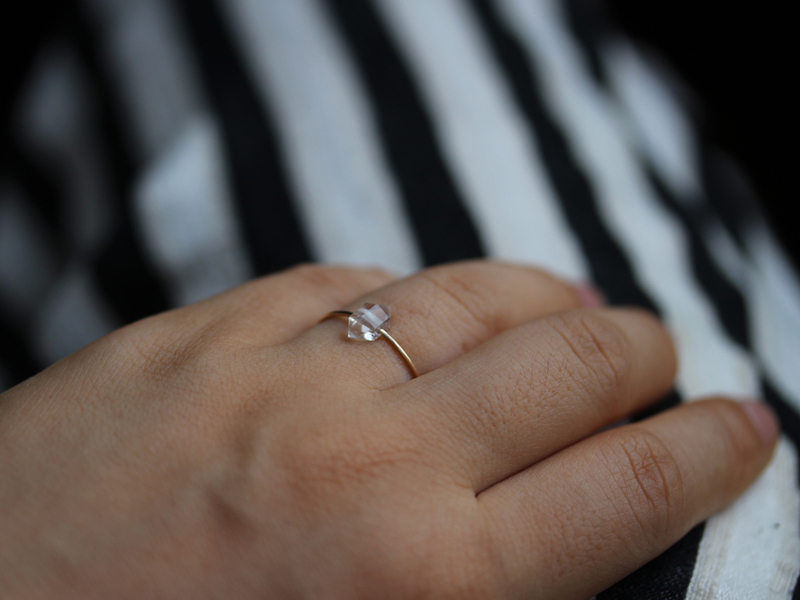 The ring band is approx. 0.8mm wide made with recycled 14K solid yellow gold.